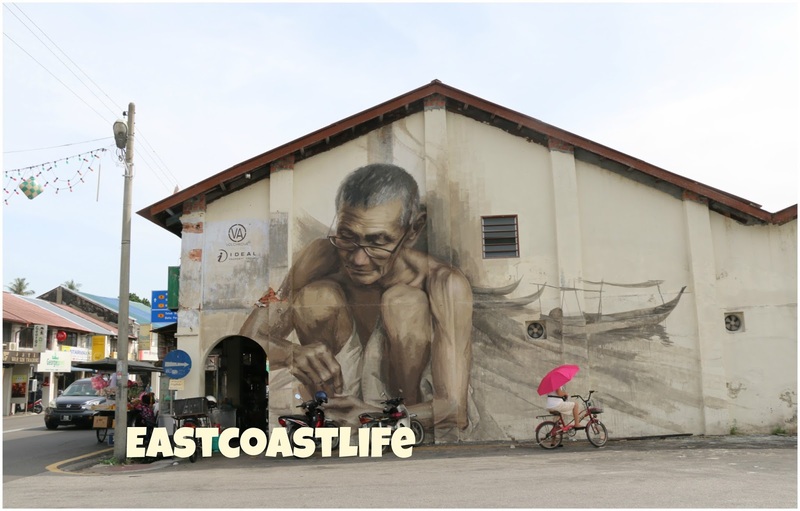 Owner Jason suggested I travel with the family to Balik Pulau when he found out that I was travelling there on my own. Jason helped them book a car for a day trip. I could hitch a ride to the village and also join them for a durian farm visit for a small fee. The family and lady driver were happy to accommodate me. After breakfast on the second day of my trip, we commenced on a journey to Balik Pulau or "Back of the Island", a charming village on the other side of Penang. 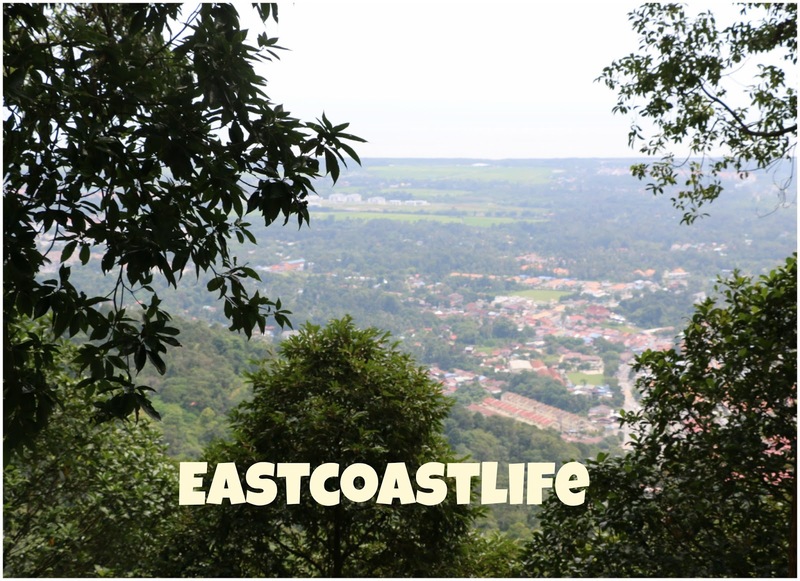 We had to drive over a hill to get to Balik Pulau. The driver stopped to let us take a few pictures of the village from the peak. The journey from our guest house to the village took a little over an hour. Our driver spent some time looking for the durian farm because she got lost. Finally we found the farm but there were only a few durians left. 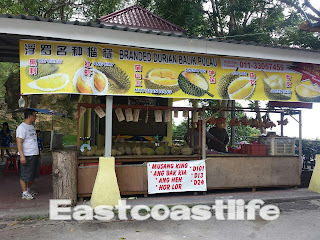 It was "take it or leave it" because these were the only available durians for the day. 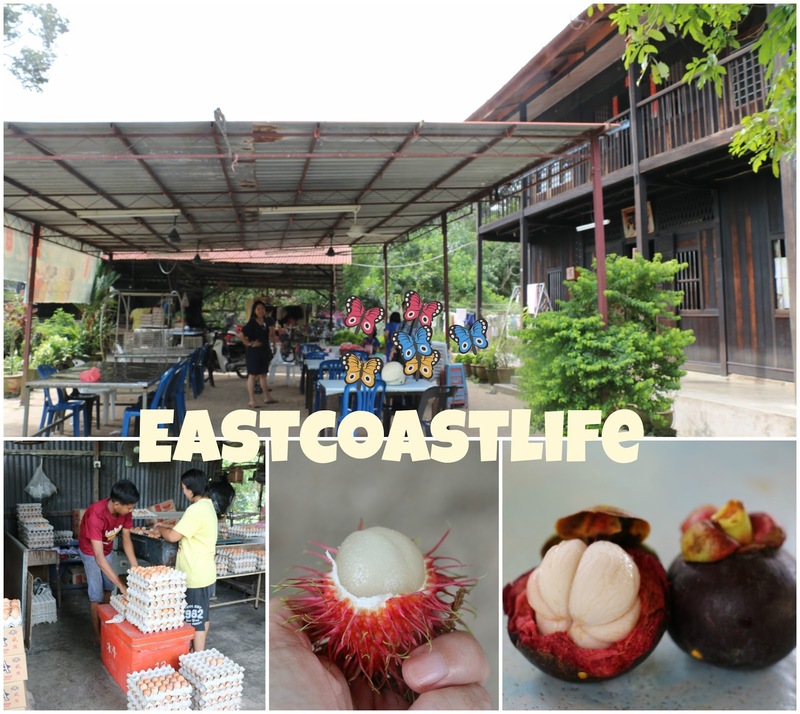 The Chinese family bought some mangosteens and rambutans and shared some with me. It has been a long time since I had rambutans, they were so crunchy and sweet. I thought of buying a few kilos of it to bring back to Singapore ..... but on second thought, I would be on my own after lunch. The image of lugging a few kilos of hairy fruit around Balik Pulau was one of suffering, so I had to give up the idea. arrrgh. 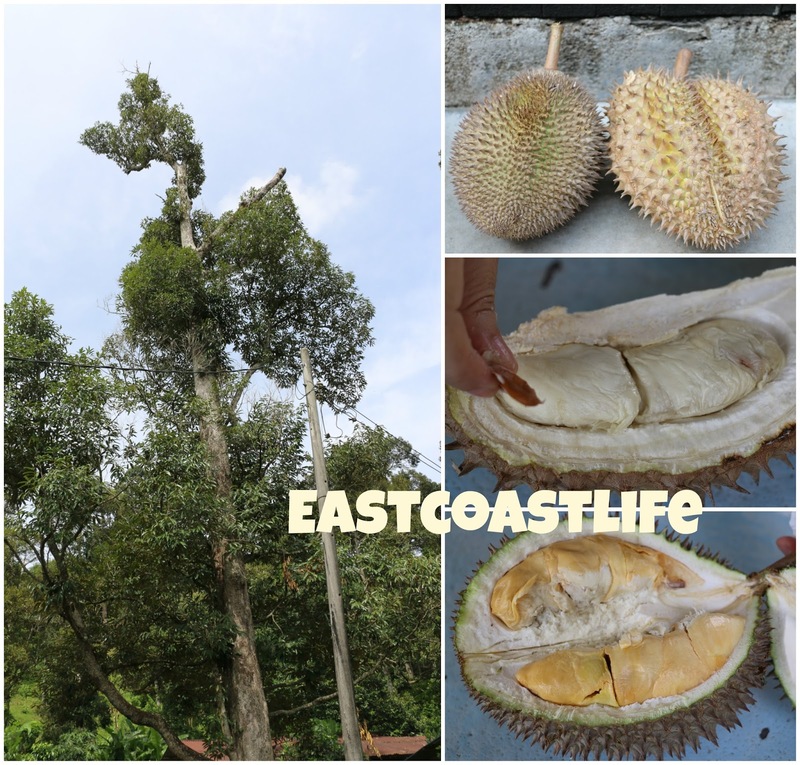 After our durian "feast", we took a walk around the farm. I pointed out starfruit trees, durian trees, mango trees and nutmeg trees to the family. We then watched a couple of farm workers sort and pack eggs. The driver was going to a nutmeg farm next and asked me to tag along. 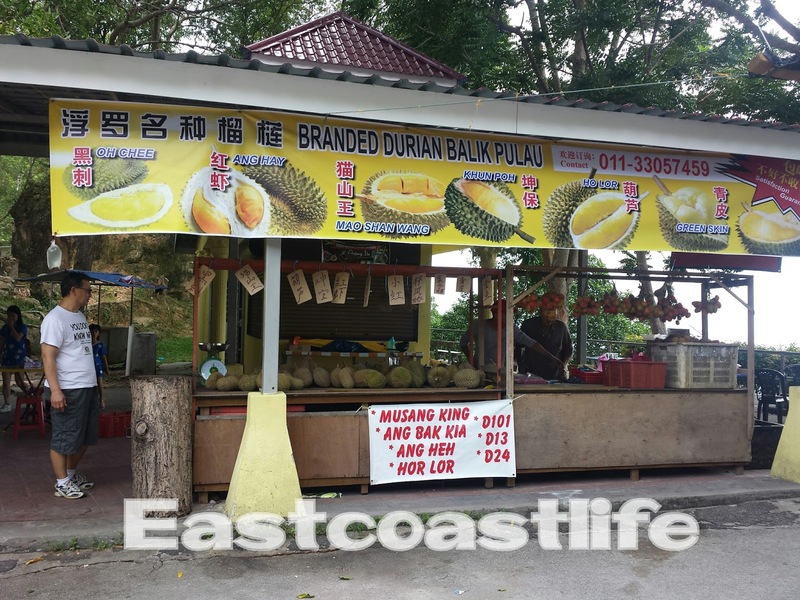 It was located not far from the durian farm. I was glad she offered me a ride. The nutmeg farm was quite some distance from town, it was an extremely hot and hazy day for long walks.